Age or Grade Range: 4-6 yrs. Camp Bmore Kids offers two four-week sessions and promises an unforgettable summer for children ages 3 1/2 through eighth grade. Enroll in one or both sessions. You won’t want to miss the inaugural camps season! Camp Bmore Kids was developed and is led by expert summer camp professionals and certified teachers—many of whom have worked together for over a decade! Campers cultivate new skills, make lifelong friendships, and enjoy swim lessons, science & STEM programming, performing arts, arts and crafts, sports, team building activities, special activities & trips, a ton of fun and more! Camp Rock offers fun weekly themes, swimming, water activities, nature trails, arts & crafts, sports, science, specialty classes, and more led by our professional, nurturing staff. Flexible scheduling and convenient hours for families. Snacks and lunch provided. Fun academic activities. Full time day camps and half-day classes include: performing arts, STEM and SAT, creative arts, cooking, photography & more. 50 different science themed camps including Robotics, Video Game Making, Emergency Vet, LEGO Deep Space. 14 brand new technology camps. Five different climbing camp programs, June – August. Indoor climbing, outdoor climbing, and kayaking camps available. ALL THE FUN YOU WANT, WHEN IT WORKS FOR YOU! Over 110 offerings to mix and match on our 110-acre campus just off of 695. 10 weeks of signature programs and amazing partnerships. Find out what Summer at Garrison Forest is all about! Age or Grade Range: Ages 18 mths.-9 yrs. different theme each week. Sessions led by experienced, caring faculty. This program, created in September 1996, includes sensory stimulation and motor activities to engage campers with special needs. Looking for a SUMMER CAMP that blends food, STEM and the arts into educational fun? I’m The Chef Too! offers highly engaging, hands on experiences that teach educational concepts using cooking and food for children ages 3.5-12. Our camps and programs are infused with critical thinking skills, conceptual understanding, and opportunities for real world application of content related concepts. 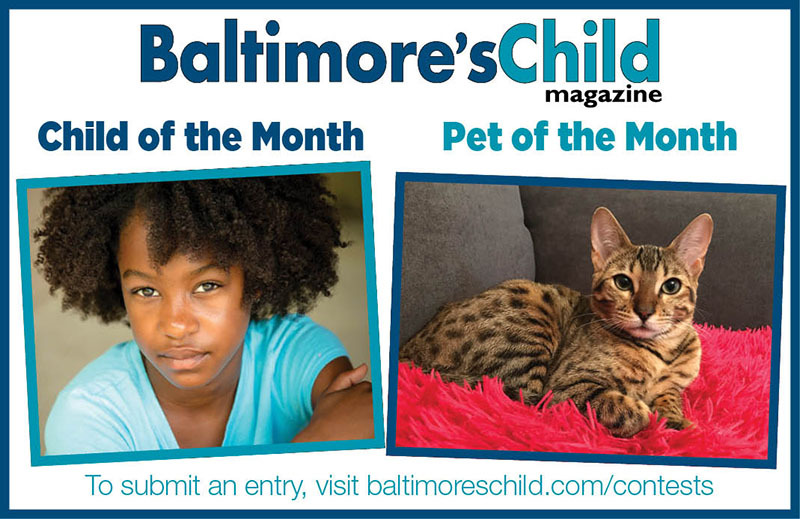 This summer we have Baltimore County locations in Owings Mills, Reisterstown and Towson. Exciting explorations, awesome adventures, and delightful discoveries await your child at Irvine Nature Center’s Summer Nature Camp! Irvine specializes in curating camps for curious kids. Whether your child is a budding ecologist, future veterinarian, or an outdoor explorer, Irvine’s camps offer a unique summer experience. With over 40 brand new camp themes to choose from including Raptor Keepers, Tiny Chefs, Child Vs. Wild, and Backcountry USA, there’s a summer of fun just waiting to be explored! All Irvine Summer Nature Camp programs are designed and led by environmental educators and naturalists who bring their knowledge of science, nature, and animals on each exciting adventure. Camps are offered June 10, 2019 through August 30, 2019 for children age 2 through 12. Register your child before January 31, 2019 for an exclusive 10% discount on your purchase. Five pools, including lazy river and activity pool. 9 tennis courts. 20 acres. Weekly sessions. Swim and tennis lessons, arts & crafts, field trips. 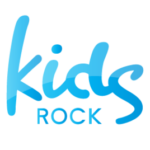 When school’s out, let the summer fun begin at KidsRock Camp! KidsRock is Baltimore’s premiere camp experience that combines academic enrichment and big FUN in one awesome camp! Celebrating its 10th year, KidsRock Day Camp offers an outstanding day camp experience for children entering Pre-K – 8th grade. Camps are held on the beautiful campus of Notre Dame of MD University and NEW THIS YEAR at St. Paul’s School in Timonium-Lutherville. Each week offers a wide range of unique summer experiences that feature tutoring, mind blowing fields trips and hands-on camp activities that “rock” and ignite your child’s learning, growth and discovery! • 2-3 Extraordinary Field Trips Each Week to Top Kid Destinations! Options may include indoor skydiving, zip lining, trampoline parks, go-karts, amusement parks, swimming pools and local water parks. • Tutoring in Math and Reading. • Fascinating Hands-on Experiences – Cooking, Science, Arts, Technology, Live Camp Shows, Sports and More! Come out to learn the game of tennis or to compete at the highest level at some of the best locations in Baltimore! Fun, friendship, adventure, and discovery await children of all ages on our beautiful 800-acre campus! McDonogh Summer Programs offers over 80 traditional day camps, sports clinics, arts and educational programs, as well as overnight camps. Age or Grade Range: Ages 3.5-14 yrs. Merritt Clubs offers a wide variety of half-day and full-day interactive summer camps all certified by the state of Maryland. Your children will enjoy multiple camp settings, before & after care, extended hours and more throughout the camp session. Camps include American Girl, Sports and More, Swim Camp, Dance Camp, Harry Potter Camp, Super hero camp and much more. Age or Grade Range: Ages 3.5-15 yrs. A specialized summer camp for children with dyslexia and other language based differences. Oldfields School offers a wide array of summer camp opportunities. Camps are organized in one week opportunities. Residential options available. Thrive On! This summer, children ages 3 ½–17 are invited to join us for dynamic experiences in the tradition of The Park School of Baltimore. Park’s unique approach to learning and growing flourishes amid the beauty and wonder of our wooded 100-acre campus. Park Camps staff consists of caring, committed professional educators from The Park School and the greater Baltimore community who have created exciting programming to engage both mind and body. Summer Session June 18-July 28: Private and group music instruction; Early Childhood Music classes; Young Children’s Dance classes. Allegro Strings for young violinists, viola students, and cellists (August 6-10); Chamber Week for intermediate-advanced strings (July 30-August 3); weeklong Glissando Harp Festival (June 18-22). Additional programs in music and dance offered at locations in Downtown Baltimore, Howard County, and Annapolis. Campers will primarily focus on learning gymnastics skills, but will also enjoy active games and craft projects. Variety of camps including arts, sports, cooking, theatre, enrichment, drivers education and our signature Gatorland Day Camp. 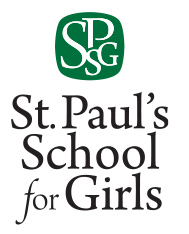 At SPSG Summer, we allow boys and girls to experience the magic of child-centered, hands-on and well crafted fun. We look forward to supporting and guiding our campers as their strengths are made stronger in our community that feels like home. With our variety of summer camps, we have programming that will serve your entire family! The purpose of this program is to provide enrichment for children of exceptional intellectual ability. The program does not attempt to accelerate skill development in curriculum areas. Rather, the instructional focus is on extending children’s existing fund of knowledge through first-hand and creative experiences. “College for Kids” courses are designed to provide children with an earlier, more in-depth, and more multi-faceted perspective than is usually available in traditional educational settings. In addition to learning in an atmosphere that is challenging and fun, perhaps the greatest benefit for children is the opportunity to enjoy the company of intellectual peers. Swim twice daily, tennis, fitness, dance, arts & crafts, enrichment, themed weeks, specialty days. The Young FilmMakers Camp teach children how to record, film, edit, do narration, write scripts, speak on camera and make stop motion videos using their iOS devices including iPads, iPhones and iPods equipped with cameras. Fun filled summer camp that provides entrepreneurship training, leadership building, and community service activities for children ages 5-14. Children participate in fun filled activities weekly. Free 3-day, 2-night weekend camp designed to help grieving children learn ways to explore their grief. Weekly walking trips to Opies Snowball Stand, field trips, daily water play, weekly blow up slip and slide. Choose what weeks to attend. Age or Grade Range: K-5 - children who have completed kindergarten through grade 5 as of June, 2017. See website information on early bird registration special! A three week performing arts camp in residence on the Essex campus of The Community College of Baltimore County. July 23 – August 10, 2018. Campers produce a fully staged musical theatre production for presentation to family and friends. This year’s production will be “Xanadu, Jr.” Fee $535. Academic classes half day, recreation & specialty classes, trips, daily chapel. Multiple locations to better serve you. Cromwell Valley Park Council, Inc.
Fun and challenging outdoor adventure camp with a ropes course, zip lines, forests, lakes and farm animals. Campers swim, boat, climb, fish, and explore. Open to ALL girls grades K-5. No need to be a Girl Scout. Open to boys and girls. No need to be a Girl/Boy Scout. Specializing in activities for PreK campers. If your child loves sports and wants to advance his or her skills in a supportive and traditional camp environment, then look no further. Our one-week sessions focus on developing athletic skills, working within a team environment, and building friendships. Join us for both traditional and nontraditional sports activities to include volleyball, soccer, basketball, lacrosse, ultimate frisbee, whiffle ball, kickball, dodgeball, and more! Campers may register for one or all sessions. There will be distinct programming and variety within each. Full Day (9:00am to 4:00pm) and Half Day (9:00am to 12:00pm) options exist. A t-shirt will be provided to all campers. The camp will be held on Goucher College’s 287-acre campus. Campers will have access to air conditioned gyms, an indoor pool, and many more college facilities. Goucher College is offering a range of great summer camps this summer for campers ranging from 5 to 19 years old. Camps include an All-Sports Kids camp, where campers try various sports and activities, The College Essay Writing Workshop which is geared towards writing your college essay while also learning creative writing skills, Science camps with Science Guys of Baltimore, where students 5-13 do fun science experiments introducing them to Physics, Chemistry, Botany, Biology and more, Tennis camp With David Mast, Lacrosse Goalie camp with Goaliesmith, and many many more!! Check our website for the full offering of summer programs. 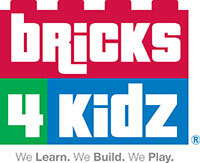 Providing programs for the education, entertainment and care of young children. Degreed teachers. We will have a Spring Break Camp as well. Please check out our website for more information. Hereford M.S. 712 Corbett Rd. Morning beginner experience and “2nd year” program. VEX IQ and VRC platforms, robotC software used. 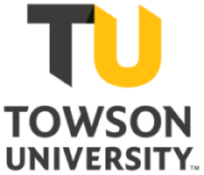 HowGirlsCode, Inc. is proud to partner with the University of Maryland, Baltimore County (UMBC) to offer our summer camp, Mind, Body, & Coding. Each day girls will enjoy programming classes, hands-on robotics sessions, yoga instruction, engaging guest speakers, and tours of the UMBC campus. The camp day is 9:00 am – 3:30 pm. 105 S. Belle Grove Rd. Offering “Piano Improvisation Fun!” and “Be a Composer!” for beginner and intermediate students. Sessions held in July. In collaboration with Windsor Christian Academy, Idea Lab Kids offers summer fun in STEAM (STEM + Art). Register for individual or half day camps with a new theme in science, technology, engineering, art or math each week. From movie production to Roblox, we offer all the STEAM classes your child can think of. It’s true – our camps include Cooking School, Robotics, 3D Printing, Art, Coding, Engineering, and Science. Campers learn through inquisitive hands-on activities utilizing the principles of STEM, merged with the Arts, critical thinking skills and a great deal of IMAGINATION! Impact strives to help youth level athletes improve their baseball skills and improve their confidence in the process! We believe in building the person first and, with confidence and passion built from inside, we can make lasting changes in mechanics!! Various locations! Johns Hopkins Stadium, Roland Park Elementary, Cockeysville MS, Medfield Heights Elementary, Catonsville CC, Towson University. Our camp will expose students to numerous healthy activities that inspire fun, confidence, and fitness. Sparrows Point Country Club, 919 Wise Ave.
Age or Grade Range: 4-10 yrs. Weekly themes, science and art, in addition to supervised open play in our Moonbounce Area, Playground, and imaginary town. Children must be potty trained. 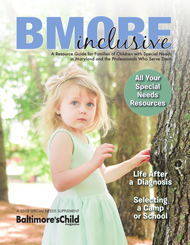 Accommodations for special needs. Nature Camps at Ladew provide a unique, fun and educational experience for children aged 2 to 15. Ladew’s beautiful 250-acre property includes formal gardens, a 1500 square foot, native butterfly & caterpillar house, forests, meadows, ponds and streams. Staffed by adult naturalists, an art instructor and a former school teacher, we provide a low teacher to camper ratio to ensure a safe environment and individualized attention. Lacrosse skills as well as providing opportunity for game-play evaluation. Various programs for speech/language therapy, occupational therapy, readiness skills, and social skills. Lindamood-Bell Learning Processes is an organization dedicated to helping children and adults learn to their potential. Their research-validated instructional programs strengthen reading, comprehension, and math skills by developing the sensory-cognitive functions that form the foundation of learning. Little Medical School inspires young minds to learn about health and various careers in medicine. Summer locations at Roland Park Country School, St Paul’s School for Girls, Calvert, Coppermine and more locations coming soon! Little Weekend Warriors, Youth Sports Club is one of the first programs of its kind to focus on building developmentally appropriate skills through non-competitive sports, games and activities – and the company keeps evolving to make sure that it delivers the best in sports programming for boys and girls ages 5-7. Maryland Leadership Workshops is Maryland’s premier leadership development program for middle and high school students, and has provided generations of participants – who we call delegates – with an incomparable experience to discover and develop strengths and skills essential to lifelong leadership. SIBLING DISCOUNT AVAILABLE. CALL FOR DETAILS. The Mitchell School of Fine Arts offers a youth camp all summer designed to help our youth students take their artistic exploration to new levels. Acting as an addendum to our traditional curriculum, our camps provide a personal experience that allows the young aspiring artist to explore their passion with a fun and engaging community! The Mount Saint Joseph athletic summer camps program provides your son the opportunity to be evaluated by the best high school coaching staff in the area, setting him on a trajectory to maximize his athletic talents throughout his all-important high school years. View the camps (listed on our website) available and descriptions in each tab for this summer along with links to register online. Any questions about Mount Saint Joseph sports camps can be directed to Assistant Athletic Director Michele Connor: MConnor@msjnet.edu. Athletic, Academic, and Visual/Performing Art Camps. Ages vary. Hands-On Instrument Classes for infant -4 (Parent & Child). Instrument Sampler, Rock Band, Piano, Cello, Violin, Ukulele & Guitar Classes (ages 4-8). Singing, dancing, acting, costumes and stagecraft, taught by musical theatre professionals. Over two weeks, campers learn healthy vocal technique, develop poise and coordination, explore acting skills and improvisational games, rehearse scenes, make costumes, design the set and put on a show. All while having fun, making friends and working together. Camp locations in Towson, Glen Burnie, and Annapolis. Age or Grade Range: 3-5 yrs. Want to become a better basketball player or learn about the game? With the summer right around the corner, our staff and players are excited for another great opportunity of learning, sharing, and teaching the great game of basketball. We would like to invite you and your friends to join us again this summer for fun-filled weeks of basketball instruction. We want each camper to leave as a better basketball player by working hard and having FUN! We look forward to working with you this summer in SECU Arena! All camps are open to any and all entrants limited only by number, age, grade level, and/or gender. We serve children ages 2 through 5th grade in our beautiful Northern Baltimore County facility. We feature weekly themes that are fun and engaging for the children who spend the summer with us, and provide different entertainers throughout the summer. Come for a week, a month or all summer. Camp runs from June 19, 2017 to August 24, 2017, Monday through Friday 6:30am to 6:00pm. Call 410-357-4112 for rates and availability. We are a MSDE licensed child care center, open Monday – Friday 6:30 am – 6:00 pm. Players will be grouped according to their current skill level to ensure the needs of each player is appropriately addressed. Regardless of skill level, every player will receive personal attention from coaching staff. 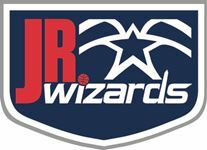 Our mission is twofold – first to have every player come away from training camp better than they were when they arrived and second to leave our time loving the game of basketball more. July 29th-August 2nd, 9-11 a.m. Figure Skating Development Camp for ages 6- teen. This camp will help develop and improve on your skating skills- Basic levels through advanced. MUST have had previous lesson experience. Look up more information about our learn to skate program before joining figure skating camp! Kids form bands, study guitar, bass, drums, keys, voice or ukulele, write and perform a song, and star in a you tube video. The instrument classes are tons of fun and are taught by top rock musicians who are also experienced teachers. There’s lots of jamming and playing time for the kids! Age or Grade Range: 5-10 yrs. The Navigate Summer Program aims to provide teens and young adults with valuable experiences that will allow them to practice essential skills for the workplace and beyond. Through a focus on job readiness, social skills, financial literacy and leisure skill building, Navigate will create a foundation that will help to build meaningful futures for our students. Their days will be filled with fresh experiences, and FUN-damental life skills! 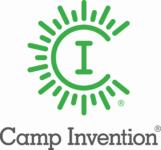 We are excited to offer a camp program focusing on Science, Technology, Engineering, Art and Mathematics (STEAM) that will stimulate an interest in every child. Engineering is all about creating, building, and making things better! So what does it take to be an engineer? If you like math and science, you are off to a great start. If you enjoy discovering new things, solving problems, and learning how things work – even better! Creativity, persistence, and the desire to make the world a better place are also important qualities. This camp is designed to re-imagine, reengage, and reinvent educational activities which will encourage our youth to explore, learn, and develop critical thinking and problem solving skills through fun, hands on activities and experiments. We know your child will take what they’ve learned in this camp back to school, home, and community and provide a new “spark” for their peers as they take responsibility for shaping their future. Classic camps for ages 3-7 that include swim lessons, plus a variety of activities. Specialty camps including sports, cooking, science, theatre, etc. St. Peter’s Day Camp is a Christian summer camp where we spend our summer weeks with devotions, praise time, special guests, arts & crafts, outdoor play, games, water play, themed activities, spirit days, zumba, special snacks, a movie day, and a field trip! Camp begins June 17th and continues until August 19th. Registration is every Monday. Monday-Friday 8:30am to 4pm/$150. Sibling discounts are available! We’d love to see you this summer! 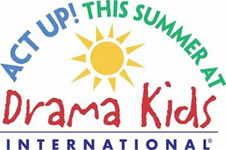 Arts & crafts, drama, sports, vacation bible school, academic enrichment. Five 1-week sessions. Lessons both mounted and grooming prior to lunch. Learning riding, horsemanship, health, grooming, tack care, field trips, guest speaker, pony racing. Designed to improve communication skills in English. Includes field trips as well as recreational activities. Option to add horseback riding. This year the camp will be one week long, M-F. Registration for Summer 2019 open now! The Stevenson Summer Writers’ Workshop invites rising 8-12 graders to spend one week on our beautiful Greenspring Campus exploring fiction, poetry, and creative nonfiction through small group writing workshops with Stevenson University’s creative writing faculty. Students will attend a multi-genre morning workshop, then will select two specialized afternoon workshops on writing topics of their choice such as flash fiction, character development, interactive digital narratives, or the college admissions essay. Students will present their work publicly at a reading for family and friends at the conclusion of the Summer Writers’ Workshop and will help design an online literary journal of selected writings from camp (optional publication of work). Students will also be visited by guest writers and artists daily. Tuition: Tuition covers workshops, a journal, all supplies for daily activities (printshop/book-making), and snacks. Students should bring a bag lunch. Sibling Discount: 1/3 off second child. Tuition Scholarship: There are a limited number of full and partial tuition scholarships available. Please open the Tuition Scholarship tab above for information about applying. Registration: Space is limited, so don’t delay. Spaces will be filled on a first-come, first-served basis. You will receive a registration receipt by email after submission. Additional information and material about Summer Writers’ Workshop will be sent to the email address that you provide during the registration process. Location and Transportation: Stevenson University’s Greenspring Campus is located at 1525 Greenspring Valley Road, Stevenson, MD 21153. Alternatively, students may take the Metro to the Owings Mills station and will be transported to the Greenspring Campus by the SU Shuttle. Please contact Meagan Nyland, M.F.A. in advance at mnyland@stevenson.edu to request shuttle service. Please email Meagan Nyland, M.F.A. (mnyland@stevenson.edu) with any questions about Stevenson Summer Writers’ Workshop. Thanks for your interest in Stevenson Summer Writers’ Workshop! We look forward to writing with you. Science Camp at Stevenson University is for middle school students entering grades 6-8. Students enrolled in Science Camp engage in laboratory-based, hands-on activities designed to instill and enhance an interest in science and mathematics. Topics range from robotics to healthcare to environmental science. Registrations will be accepted on a first-come, first-served basis until we have reached capacity. Payment must be made online. Registration fee includes two T-shirts, drawstring bag, reusable water bottle, a small snack each day, and all scientific materials. Students are to bring their lunches from home. Space is limited, so do not delay. During the registration, be sure to include an active, frequently checked email address. Additional information and materials will be sent to this email address prior to camp. New program launching this summer! 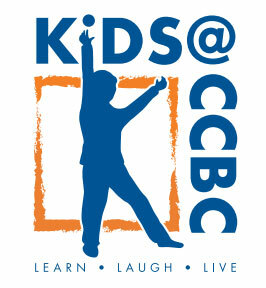 This camp will provide engaging creative activities geared toward early elementary students. This camp will provide art instruction for serious minded students looking build their portfolio for college. I offer a variety of artistic processes that include alternative photographic process, studio art and digital media. Classes are held in my home in Timonium right around the corner from Timonium Elementary School. Join me for open studio day April 27th! 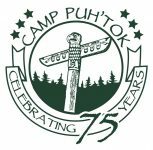 Youth, teen, overnight and specialty camps. Field trips, swimming & more. Free extended hours. Financial aid. Orokawa Family Center Y, 600 W. Chesapeake Ave. Youth, teen, overnight & specialty camps. Field trips, fun weekly themes, swimming, more. Free extended hours. Financial aid. Offering weekly classes in Classical Ballet, Modern, Jazz and Tap. Middle and high school students study STEM, ARTs & Humanities in one or two week summer sessions. Baltimore County 4-H will be holding the 2019 Day Camp program from August 5-August 9. Campers age 5 – 13 years old will learn about the environment, technology, and enjoy many crafts and games. The Baltimore County Day Camp is run by trained volunteer staff and accredited by the ACA (American Camp Association).